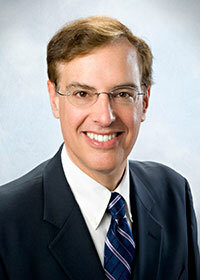 A Professor of Medicine, Dr. Forman is dually trained in Geriatrics and Cardiology. He holds appointments in both Divisions at UPMC as well as in both the Geriatrics Research Education and Clinical Center (GRECC) and the Cardiology Division at the Pittsburgh VA. With NIH funding, he is studying the benefit of nitrate capsules for fatigue and function in older adults with heart failure and preserved ejection fraction. In two other NIH projects he is studying the impact of exercise on skeletal muscle gene transcription (Molecular Transducers of Physical Activity in Humans [MoTrPAC]), and the impact of exercise training on cognition (Investigating Gains in Neurocognition in an Intervention Trial of Exercise [IGNITE]). At the VA, he is comparing the impact of different training regimens (strength, aerobic, and inspiratory muscle training) on skeletal muscle morphology, gene expression, and functional capacity. He is also studying the utility of prehabilitation in frail elderly prior to abdominal and cardiothoracic surgery. Finally, he is funded by PCORI to devise novel strategies to improve cardiac rehabilitation, especially methods to improve enrollment, adherence, and value for complex, older cardiovascular patients. Dr. Forman has an interest in maintaining/restoring physical function in older cardiovascular patients with related expertise in risk stratification, innovative care, and cardiac rehabilitation. Dr. Forman has an interest in developing the field of geriatric cardiology, in which precepts of geriatrics (e.g., multimorbidty, frailty, polypharmacy) are integrated with mainstream cardiology as a key step towards improved care of the older cardiovascular patient. Forman, D.E., Rich, M.W., Alexander, K.P., Zieman, S., Maurer, M.S., Najjar, S.S., Cleveland, J.C., Drumholz, H.M., Wenger, N.K. White Paper: Current care for older adults: Time for a new paradigm. Journal of the American College of Cardiology. 2011; 57: 1801-1810. Forman, D.E., Daniels, K., Cahalin, L.P., Zavin, A., Allsup, K., Cao, P., Santhanam, M., Joseph, J., Arena, R., Lazzari, A., Schulze, C., Lecker, S. Analysis of Skeletal Muscle Gene Expression Patterns and the Impact of Functional Capacity in Patients with Systolic Heart Failure. Journal of Cardiac Failure. 2014; 20: 422-430. Forman, D.E., Fleg, J.L., Kitzman, D., Brawner, C.A., Swantk, A., McKelvie, R., Clare, R., Ellis, S.J., Dunlap, M.E., Bittner, V. 6 Minute Walk Test Provides Prognostic Utility Comparable to Cardiopulmonary Exercise Testing in Ambulatory Outpatients with Systolic Heart Failure. Journal of the American College of Cardiology. 2012; 60: 2653-61. Bell, S. P., Orr, N. M., Dodson, J. A., Rich, M. W., Wenger, N. K., Blum, K., Harold, J. G., Tinetti, M. E., Maurer, M. S., Forman, D. E. What to Expect From the Evolving Field of Geriatric Cardiology. Journal of the American College of Cardiology. 2015; 66 (11): 1286-99. Forman, D. E., Clare, R., Kitzman, D.W., Ellis, S.J., Fleg, J.L., Chiara, T., Fletcher, G., Kraus, W.E. Relationship of age and exercise performance in patients with heart failure: The HF-ACTION Study. American Heart Journal. 2009; 158(4): S6-S15. Afilalo, J., Alexander, K.P., Mack, M., Maurer, M,, Green, P., Allen, L., Popma, J.J., Ferruci, L., Forman, D.E. Frailty assessment in the cardiovascular care of older adults. Journal of the American College of Cardiology. 2014; 63: 747-62. Lecker, S.H., Zavin, A., Cao, P., Arena, R., Allsup, K., Daniels, K.M., Joseph, J., Schulze, P.C., Forman, D.E. Expression of the Irisin Precursor FNDC5 in Skeletal Muscle Correlates with Aerobic Exercise Performance in Patients with Heart Failure. Circulation: Heart Failure. 2012; 5: 812-8. Daniels, K., Zavin, A., Allsup, K., Joseph, J., Arena, R., Lazzari, A., Schulze, P.C., Lecker, S., Forman, D.E. Serum Adiponectin in Non-Cachectic Heart Failure Patients. International Journal of Cardiology. 2013; 168: 4363-4. Fleg, J.L. *, Forman, D.E. *, Berra, K., Bittner, V., Blumenthal, J.A., Chen, M.A., Cheng, S., Kitzman, D.W., Maurer, M.S., Rich, M.W., Shen, W.K., Williams, M.A., Zieman, S.J. (* co-lead authors). Secondary prevention of atherosclerotic cardiovascular disease in older adults: a scientific statement from the American Heart Association. Circulation. 2013; 128: 2422-46. Forman, D.E., Sanderson, B., Josephson, R., Raikhelkar, J., Bittner, V. Heart Failure as a Newly Approved Diagnosis for Cardiac Rehabilitation: Challenges and Opportunities. Journal of the American College of Cardiology. 2015; 65: 2652-9.